When dressing up in with fashion is hard, the first thing you will have to look on is comfort. 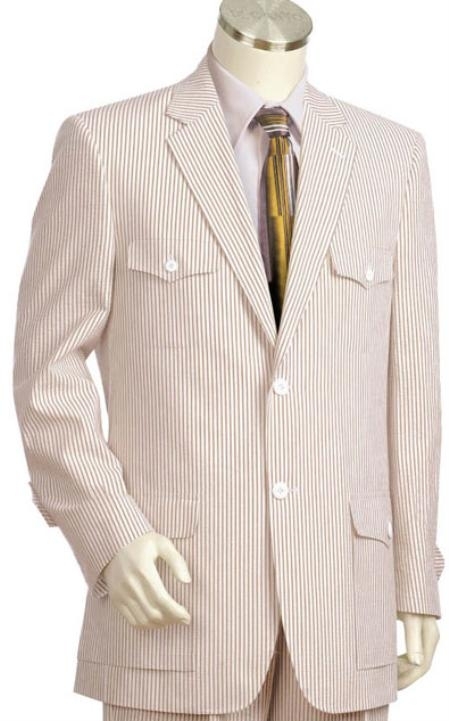 Seersucker suits are the ones that fulfill comfort as well as fashion at the same time with its timeless look and feel. Have you ever thought of wearing a suit for summer and how would it feel if you wasn't to get dressed up in a suit for a party in a tropical country. The very thought of wearing a suit in a sultry weather will make you think twice about wearing a mens suit for that day. How will you keep yourself go in if you want to still sport a suit and feel comfortable in? Many of us would jump on to the usual cotton suits or some might go behind the linen suits that looks great but is hard to maintain. Both of the above fabric varieties are welcomed by many men but what is more comfortable and fashionable that can keep you going without any problem. 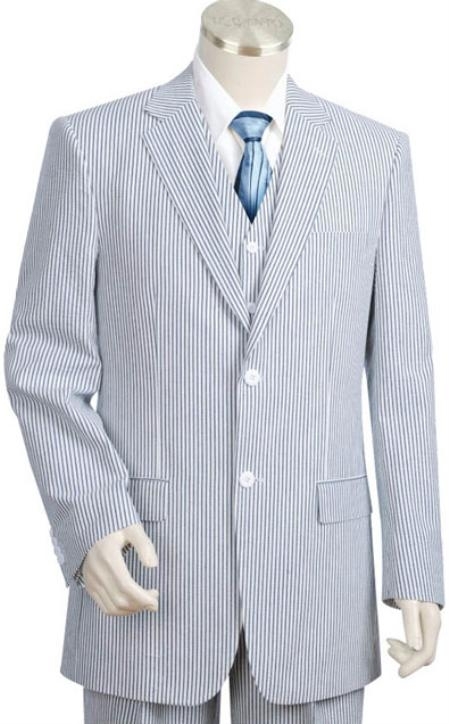 We can pick out a few good seersucker suits for this reason and stay confident about our choice. Do you know that seersucker is a good old variety of full cotton fabric that is great at absorbing sweat, makes you feel comfortable and keeps you cool by the free flow of air through their special textured finish? The unique weaving method by which these fabrics is made makes sure that the look and the texture of the fabric is unique and attractive that also serves the purpose of keeping the wearer cool. A seer sucker suit normally comes in a typical white with green or white with blue color but, the modern dying techniques and other technological advancements has made it possible for them to flock the market in many varieties of color choices.